Intex Aqua Star 5.0 it is easy to upgrade or flash without any box, you can do using this guide just following procedure of below, when device take in hang it in hang issue some time just do format and device will be done sometimes it would have to be a flash in that many benefit like auto app installed, auto data internet connection, auto wi-fi starting, auto gone balance these are solve using this method, before use first read carefully method and this will benefit a lot which easily'II know. Before use this method first take backup to all type data cause this is factory ROM firmware you can't save data but if data in memory card its safe but internal memory are lost in this method and this list is direct to download not any ads or short URL just click and get it and before use must remember charged your device battery also check USB cable its good quality do not use low capable cable means use original cable some time device not detect with some cables also must be installed USB driver in your computer or laptop if not just download from below click and update from the device manager which right click on my computer, Device Manage and choose other devices there yellow mark unknown driver just right click there update driver and choose you had downloaded from this post. 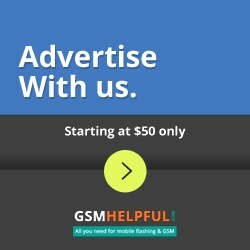 Remember here also mention of requirement which need to this solution that all are must be working well any missing you can't flashing or upgrade, this guide practical in Intex Aqua Star 5.0 and i had successes without any error no nay hard work just click, plug and done let's see how to Flash or Upgrade Intex Aqua Star 5.0 ?